8.5x11, xii + 27 pp. 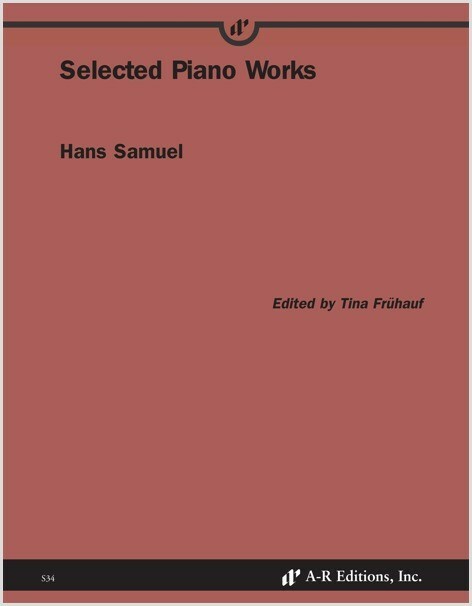 This edition includes three piano works by the German-Jewish composer Hans Samuel (1901–76), who was active primarily as an organist and composer of organ music. The selected works—Hassidic Hanukkah Tune: "Al hanissim we al hapurkan" (1946), Sounds of "Slichoth": Paraphrases on S’lichoth Tunes According to the Ashkenas-Western Mode (1957, dedicated to the composer’s parents, who perished in Theresienstadt), and Variations on a Yemenite Tune (undated)—were composed after Samuel’s emigration to Palestine in 1939. Besides exemplifying the heightened awareness of diverse Jewish musical traditions that characterizes Samuel’s music after his emigration, these works are representative of Israeli immigrant composers’ early struggles to attempt to define their new nation musically.